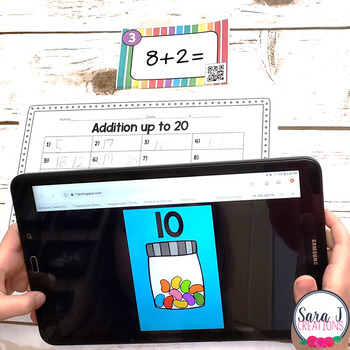 Practicing math facts doesn't have to be boring! 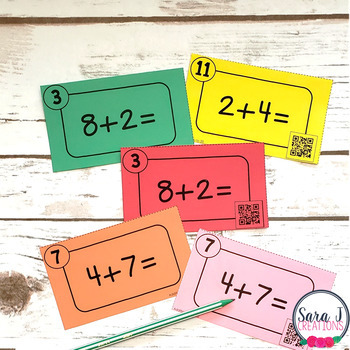 Make it more exciting for your students by using task cards with QR code options. Task cards are perfect for preassessment, assessment, review, math centers, math journals and more. 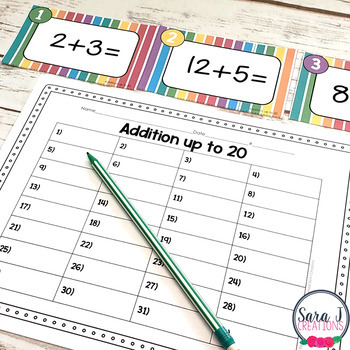 These cards are ideal for helping first graders practice their addition strategies and helping second graders practice their mental math skills. 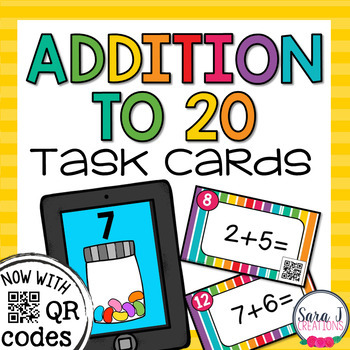 This set of task cards targets addition facts up to 20. There are 32 problems and their answers will be 20 or less. They have the exact same problems, just your preference as to how you want to print. QR version included so students can check their answers using a QR Code Reader App on their iPads, tablets or other devices. Thank you for considering this product! To see all the items in my store, please click HERE. If you would like notification about future items posted by Sara J Creations, please look for the green star at the top of the page and click the “follow me" button. All new products are 50% off the first 48 hours after posting.